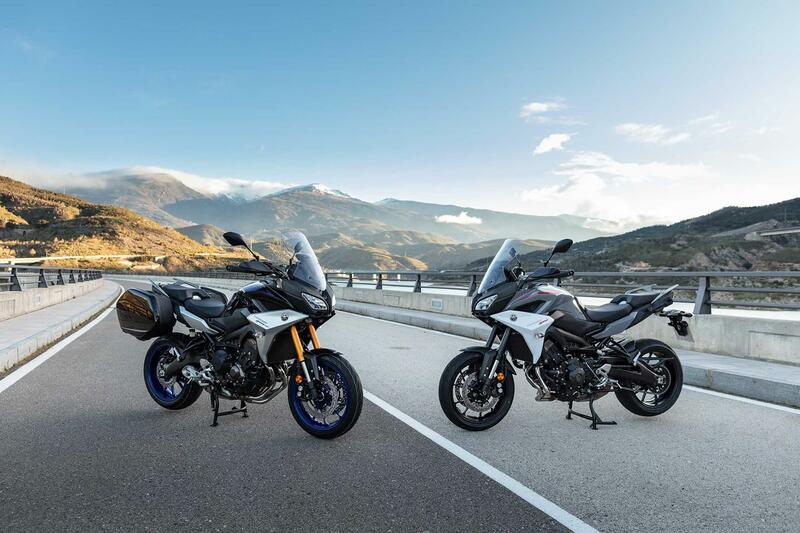 This year sees the launch of the revised Tracer 900 and the new Tracer 900GT, which is basically just a higher-specification Tracer with upgraded suspension, better electronics and hard panniers as standard. Although that description kind of does it an injustice as when MCN tested the two models back to back, the GT more than justified its £1400 price difference over the stock model. Updated with the aim of improving the bike’s versatility and refinement, the new Tracer models both gain a redesigned screen. As well as being taller, it can be moved through 50mm via a simple push-click system, improving on the old model’s fiddly adjustment that involved undoing a pair of winders. The fairing is also restyled and the bike’s ergonomics changed. 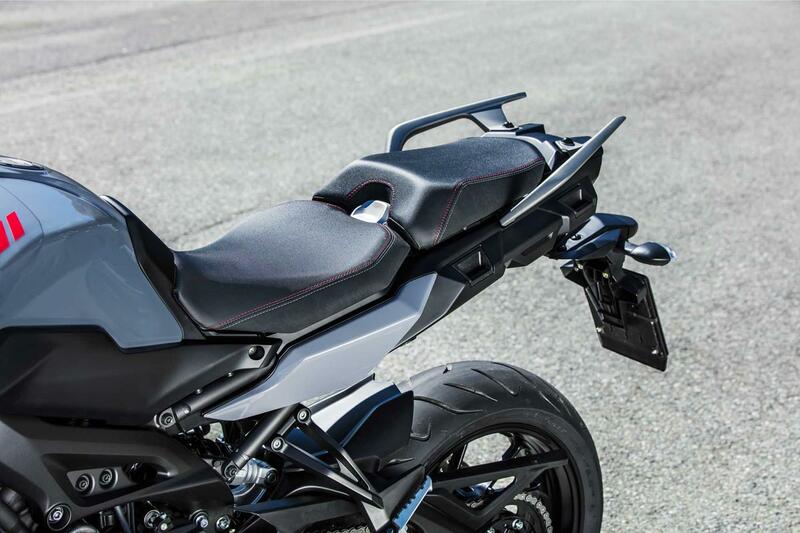 For comfort, as well as being adjustable in height between either 850mm or 865mm, the Tracer’s seat is now 5mm taller, wider and deeper padded and the pillion’s pegs are lowered 33mm for a more relaxed stance. 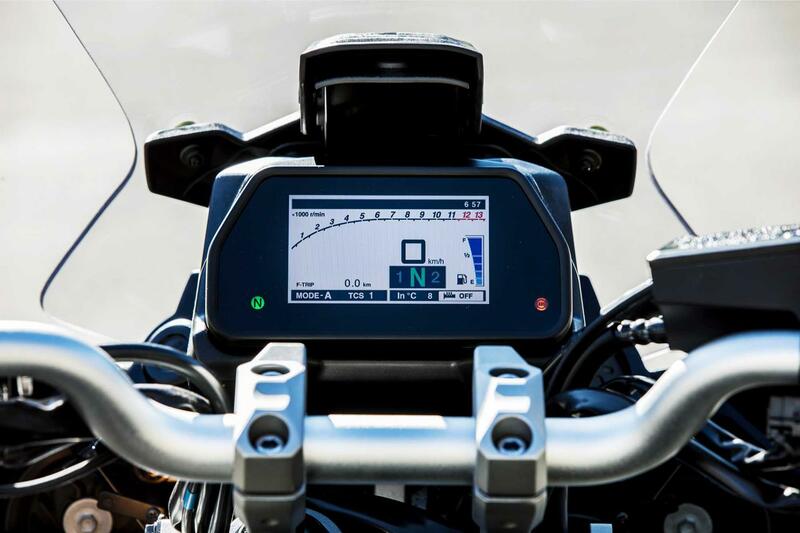 The rider’s bars are also narrower and slimmer while the pillion grab rail is bigger and integrated pannier mounts are now standard on both bikes. 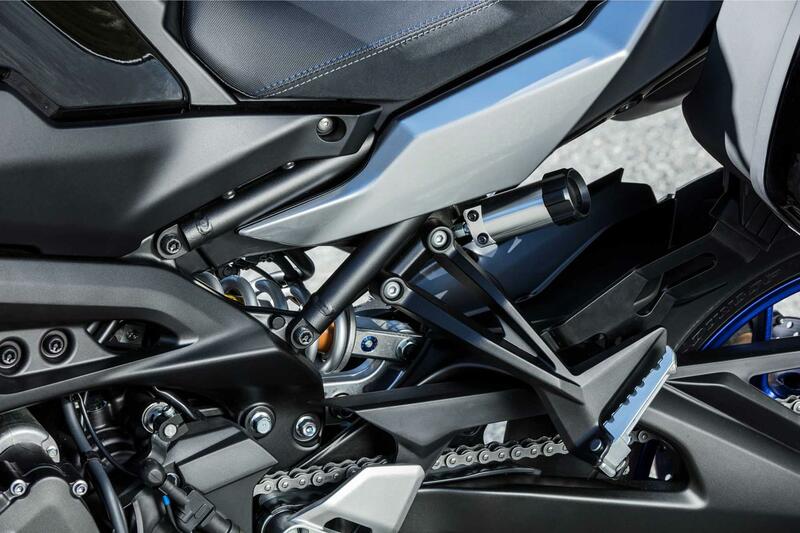 To improve the sports side of its ride, the aluminium swingarm is longer for better drive, increasing the wheelbase by 60mm to 1500mm while retaining the old model’s geometry. Aside from this, the rest of the bike is basically unchanged. What does the GT gain? 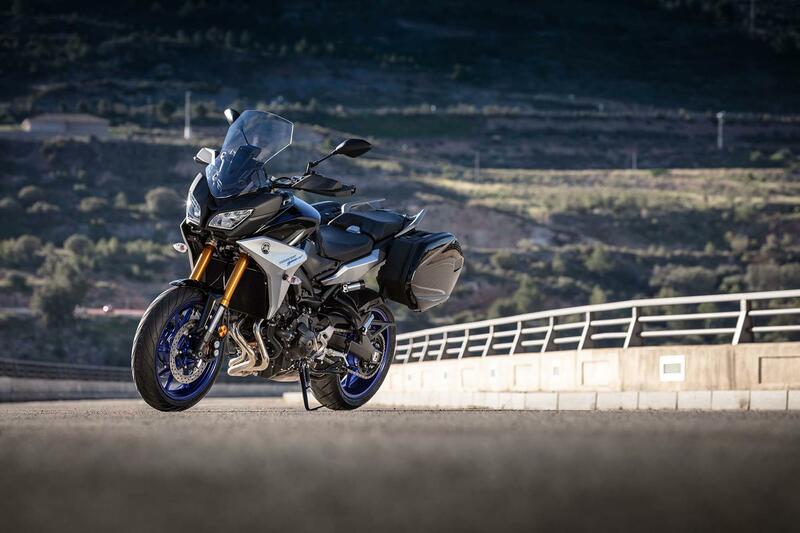 The Tracer 900GT costs £10,792 compared to the stock model’s £9392, but you get colour-matched hard panniers, fully-adjustable forks, a shock with a remote preload knob and adjustable rebound damping, heated grips, a full-colour dash, cruise control and a quickshifter as standard equipment. For a start the triple engine is unaltered and that’s a very good thing. It’s a beautiful power plant and is bursting with spirit and torque. The ECU has been slightly remapped, but the throttle response in ‘STD’ mode is perfectly acceptable and the ‘MT-09-jerk’ is a thing of the past. You get ABS and two-stage traction control, both of which are very good, and the revised seating position and increased padding in the seat makes the Tracer even more comfortable for distance work. If you go for the GT the heated grips are lovely and hot, the cruise control does its job, the quickshifter helps the gears slot home on upshifts without the need to back off or use the clutch and the TFT dash is nice and clear, if a little small. 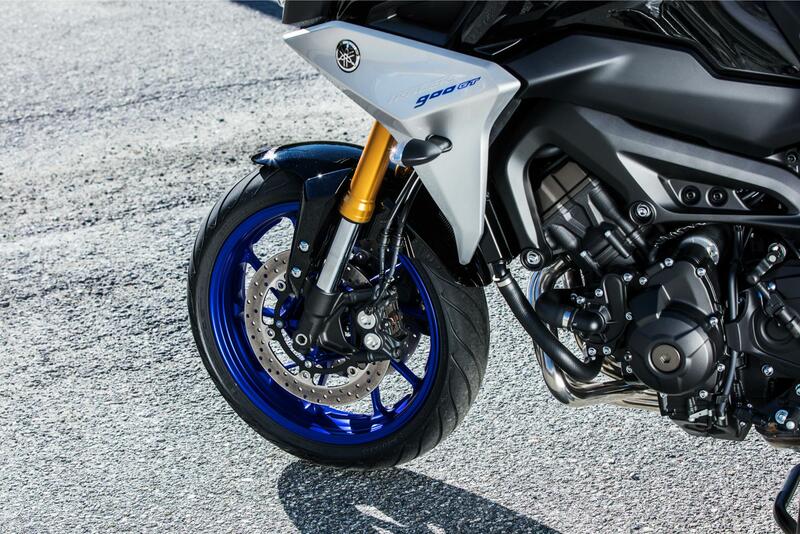 But the best part is its new suspension, which is far more composed than the standard bike’s units as well as featuring a wider range of adjustment to fine-tune it to your specific needs. The Tracer’s screen is still crap and while you can now adjust its height using only one hand, it still makes next to no difference to the wind flow. 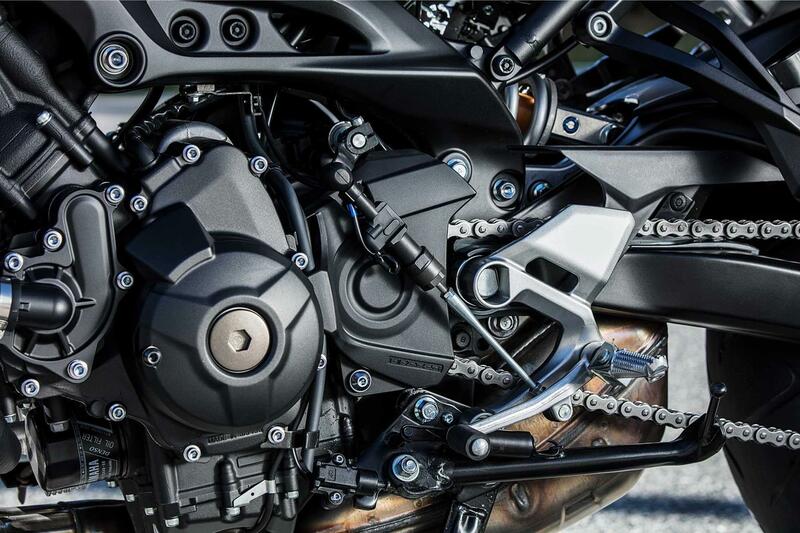 The mirrors have 30mm longer stalks, but they vibrate slightly, and the standard model’s suspension is still very soft, causing the bike to pitch on stock settings when the pace ups. 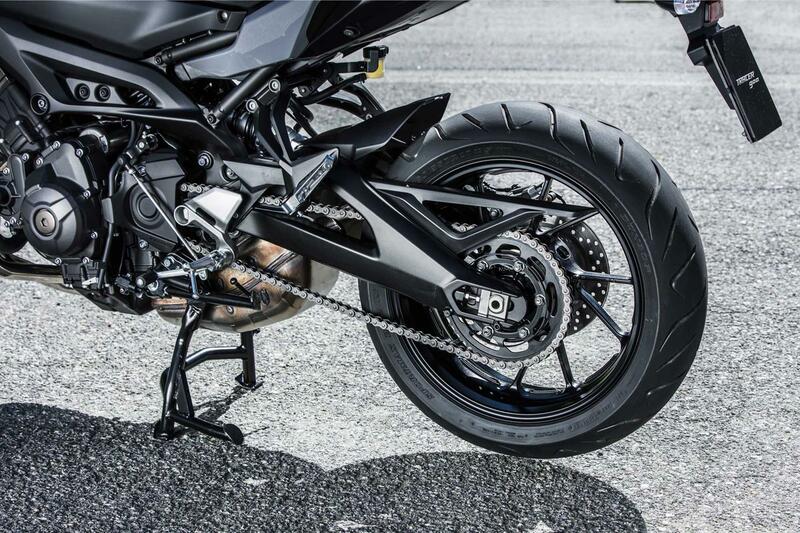 Also, the longer swingarm seems to have taken a bit of an edge off the bike’s agility, which is a shame. 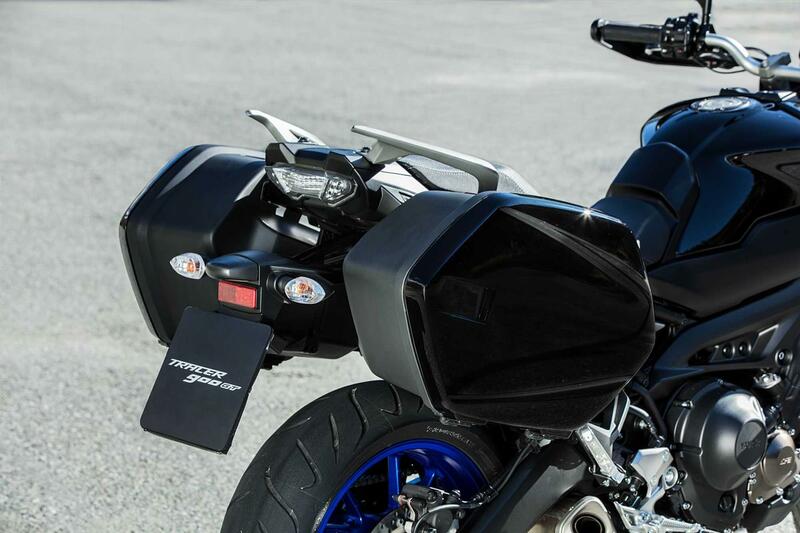 The panniers can’t take a full face lid, which is irritating if you want to use the bike to pop to the shops and don’t want to lug your lid around with you, and the rider’s heels now rest on the longer pillion peg hangers if you ride on the balls of your feet in a sporty stance. There are 30,000 very happy Tracer 900 owners out there and if you are one of them, the 2018 version is much of the same, just a bit more comfortable so I wouldn’t rush to update as it’s not a huge change. However if you have a Tracer 900 and wish it had a just few more creature comforts or are looking at getting more into touring, the GT is well worth upgrading to. 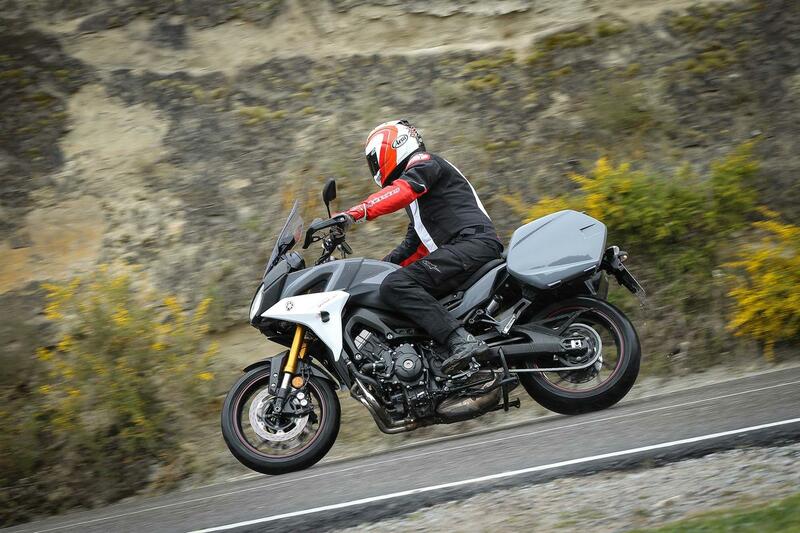 It’s everything the Tracer 900 is, just with better suspension and some really sensible, and worthy, technological refinements that add to the overall riding experience. And it does it all while still retaining its excellent value price tag. 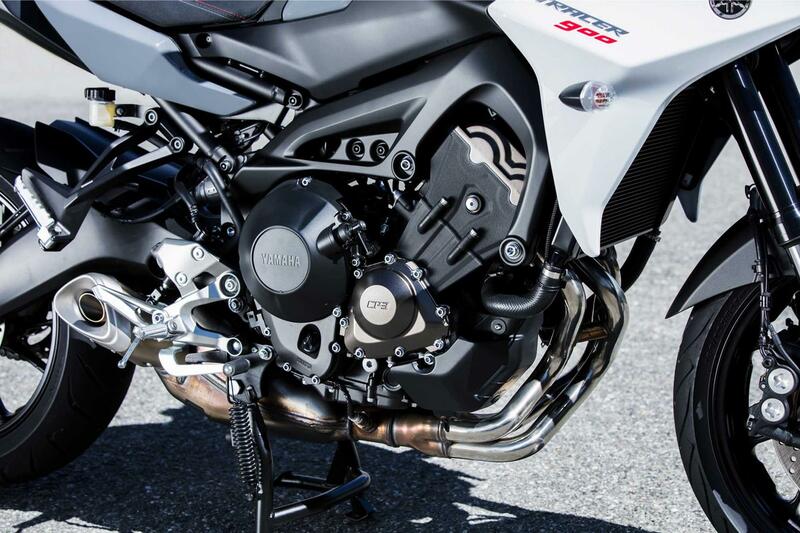 For a full review of both Tracer 900 models, see next week's brand new look MCN. Download your £1 money off voucher by clicking here.